Text-based discussion protocols are user-friendly tools that can help adult learners construct meaning from reading a shared text. 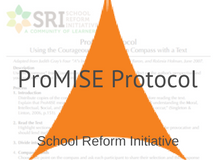 Protocols provide a structured process or set of guiding steps for participants to follow. This process honors multiple lived realities and diverse perspectives and provides a safe space for people to offer different interpretations of the issues and subject matter presented in the text they are discussing. A facilitator invites group participants to engage in critical thinking, reflection, and discussion, and in doing so, the group creates a shared experience around issues of equity. Discussions range from 30–90 minutes. To ensure all voices are heard and participants are respected, facilitators often establish a set of working norms that may or may not be expressly included in the protocol provided. For a strong example of working norms, see Four + Agreements for Courageous Conversation from the Fellowship for Race & Equity in Education. 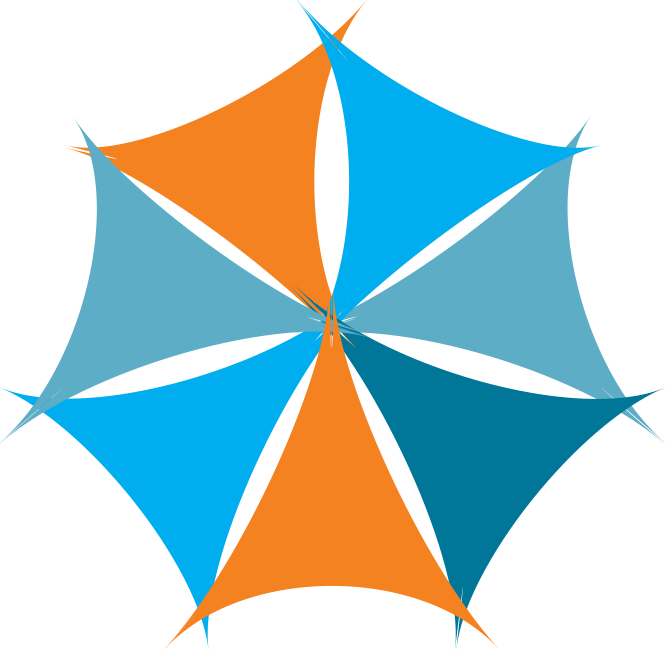 CityBridge and the Center for Collaborative Education use discussion protocols to lend a sense of order to discussion topics that otherwise may feel emotionally chaotic and create feelings of anxiety and vulnerability. These sites have found that periodic use of discussion protocols in a group committed to working and learning together increases awareness and appreciation for differences in individual privilege and situatedness, builds interpersonal communication and listening skills, supports development of shared identity around equity, and deepens community. Both sites deeply engage educators in professional learning and prepare them to play roles as lead teachers and coaches—roles that necessitate a comfort with and proficiency for facilitating equity discussions. 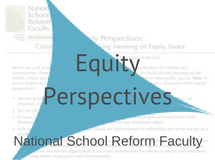 This bibliography (link to be provided) provides a curated set of readings that addresses foundational notions of equity used in these two sites. Creating time for dialogue and reflection around issues of equity is an act that in itself challenges the inequity present in our current educational system. It fosters community that is committed to thinking and working toward equitable outcomes in the day-to-day work. It begins the process of reclaiming our own time and self-directing our learning about the issues most important to us. It models an intentionality in choosing our thoughts and behaviors so that we create opportunities for new responses and decisions to emerge. Mix it up. We all seek out and select the familiar. And individuals with dominant identities, such as White, affluent, and heterosexual, often lack direct experience with people different from them. The lack of intergroup dialogue feeds notions of ‘separate and unequal’ and perpetuates myths. Select texts that help your team recognize privilege or see clearly how their own experiences have made them blind to certain discriminatory realities. If your team is homogenous, consider inviting outside guests, speakers, and community members to join the conversation—not to speak on behalf of the group they represent but to broaden the perspectives discussed together. It is the responsibility of each of us to become educated about issues of social and institutional equity. Because dialogue of this nature is fundamentally learning, these discussions can fit into meeting agendas, conferences, professional learning structures, faculty learning lunches, and/or be part of formalized growth and development structures such CEUs and badging. 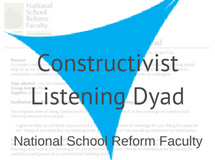 Constructivist listening protocols support authentic human connection through a state of being present and witnessing fully another’s feelings or experience. This can be an important part of healing, but it is a small step, and will not be sufficient in and of itself. Realize that for many marginalized populations, the wounds are many and deep. Remind yourself and encourage your team to practice patience, compassion, and forgiveness with themselves and each other. 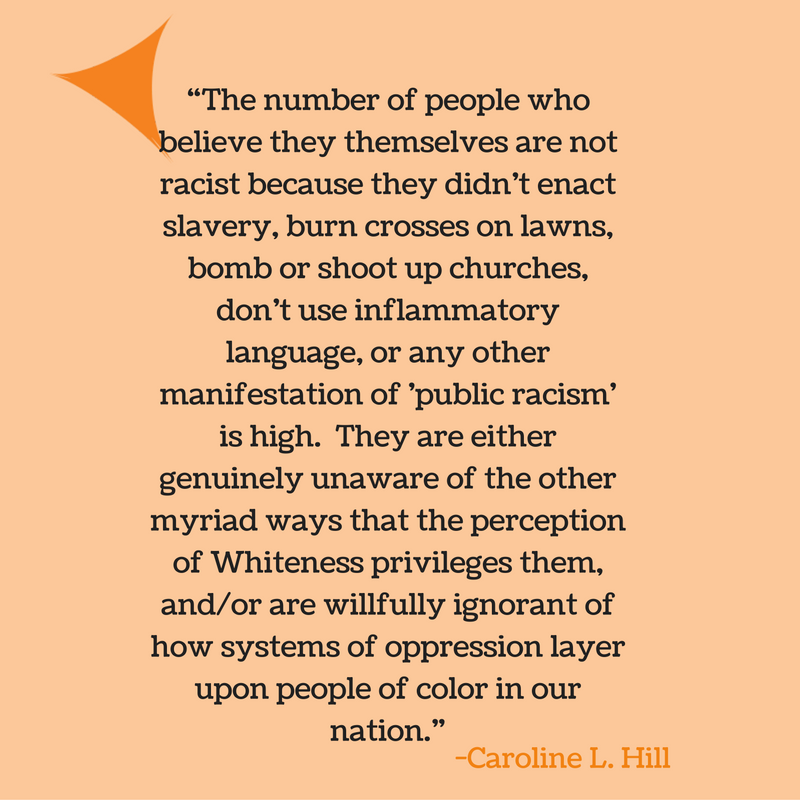 Many people are uncomfortable talking about racism and historical forms of oppression. That’s understandable. It takes practice. Your team may benefit from the assistance of a skilled facilitator to help navigate the emotions that emerge as well as to foster a learning community that is cohesive and productive. Consider using creative and skillful facilitators such as Omekongo Dibinga of UPstander International. Be careful when positioning these learning opportunities. Placing them in “extra time” slots outside the regular day and routine further marginalizes the topic, sends the wrong message, and creates resentment. Keep the topic and learning central. Be thoughtful about ways to “invite in” the best intentions and motivations of the group. Making this a task-oriented requirement is counter to the spirit of building communities of self-directed learning, self-determination as an act of resistance, and opportunities for ownership. Privilege Walk Exercise from California Newsreel, www.whatsrace.org. This exercise helps a group explore social disparities from the perspective of privilege, that is, the structural advantages afforded to one social group but not others.